H T Partnership provides expert service to home owners, builders and housing developers with the majority of our work centred in the residential sector. 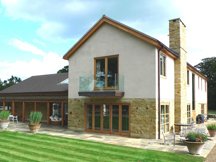 We provide a full structural design service for all types of residential properties, from small extensions and alteration works in houses and flats through to major housing schemes, multi-storey flats, sheltered housing and estates. Where required we provide a civil design service as well as facilitate co-ordination between client, local authorities and insurance companies. 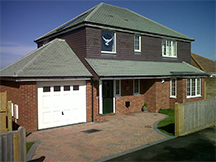 We work for clients directly or in partnership with architects, building surveyors, builders and property developers. In addition we have carried out thousands of structural inspections and reports for new home buyers and concerned existing home owners. See our Surveying section for more details. Whether your home is made from wood, brick or stone, or combination, and whether it is an historic building or a new build, we have the expertise and knowledge to give you reliable advice. Please see left for examples of residential projects. Also see Specialist and Surveying pages and continue for other services for home owners, builders and developers. New house in Maresfield, East Sussex designed by Conran & Partners. 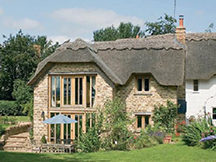 Extension and alterations to listed cottage in Wiltshire. and houses in large estate in East Sussex. 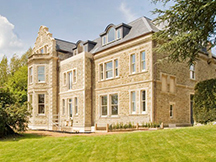 Conversion of stately home into luxury apartments in Surrey. 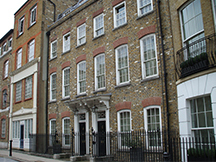 Conversion of factory into town houses and flats in Chelsea, London. New build town houses and flats on South Coast. New build Roman Catholic Presbytery in East Sussex. 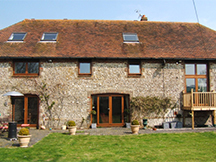 Alterations and conversion of flint barn in East Sussex.